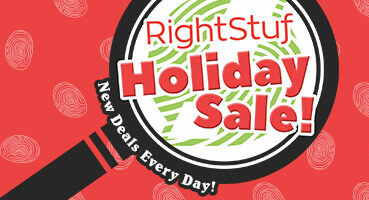 Ah now a tradition, the RightStuf Holiday Sale is something out of legend. More than a few pockets are emptied selfishly this time of year! But the sale has gotten so big that it can be a bit hard to choose. Never fear, we’ve made a few suggestions for you. This year’s RightStuf Holiday Sale might be even a little more tempting due to more people realizing the double-edged nature of streaming anime. Over the last few years streaming has become the default way for most fans to watch. Since nearly everything in Japan has become available legally steaming, more than a few people cut back on what they bought or even stopped buying shows physically altogether. But there was a bit of a sea change this year. Events like the Hulu apocalypse made it clear that streaming is never guaranteed forever. It has become increasingly common for shows to disappear from legal streaming sites especially if they are more obscure or cater to a niche audience. Now we’re not saying you should go out and buy a copy of Aria the Scarlet Ammo or Galilei Donna just in case they might no longer be streaming one day. Some things can be forgotten. We are going to mention some series you might want to buy that we consider worth archiving if you have seen them and worth trying out if you have not experienced them yet.